First created by Glasgow merchant Robert McNish in 1863, the proud blending tradition of Grand Macnish, that so captivated Ernest Hemingway, continues with this unique batch numbered, limited edition range of double matured blended Scotch whisky. Double Matured means that this whisky has first matured in bourbon barrels before being finished in rich sherry casks the last months. 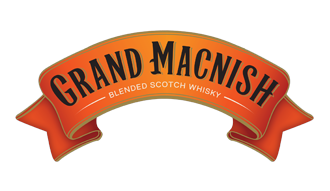 The Grand Macnish Double Matured series is strictly a batch bottled series and as such a Limited Edition bottling. Batches may be similar but will not be exactly the same. Nose: Waves of richness reach the senses with soft sherry notes, touches of vanilla and honey-dipped fruit. Palate: A rich and velvety welcome on the tongue with warmth spreading all over. This Grand whisky is behaving like a slow- motion food fight with vanilla fruitcake, creamy sherry and rich plums being tossed around. Finish: Warming, caressing and lingering.